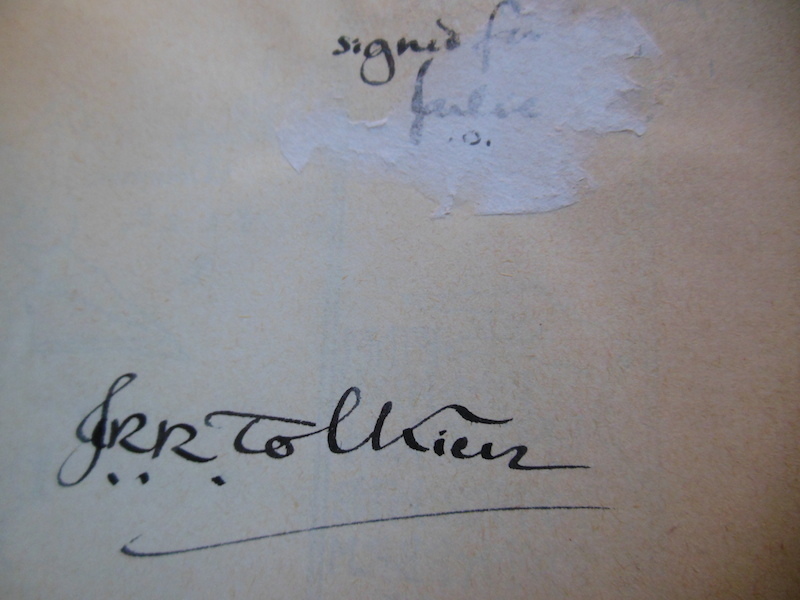 Dedication by the author on front fly-leaf: "signed for Julie - J.R.R. 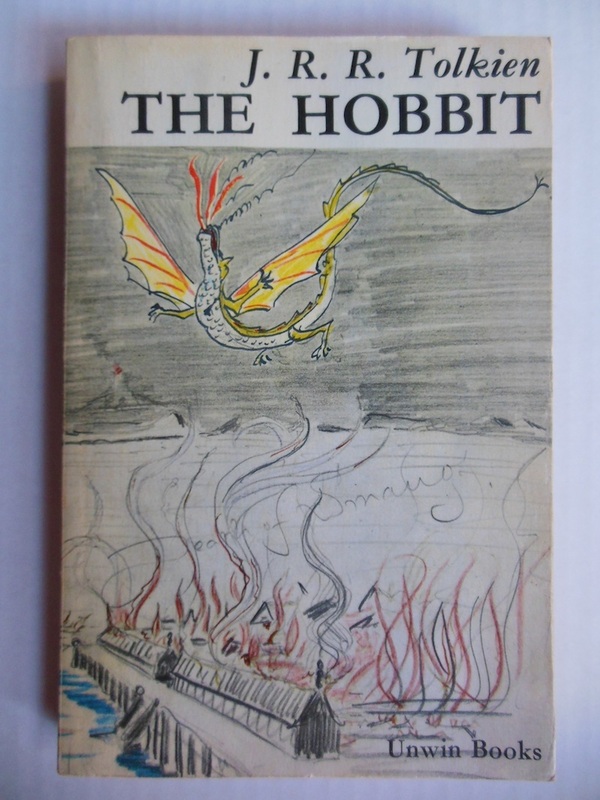 Tolkien". 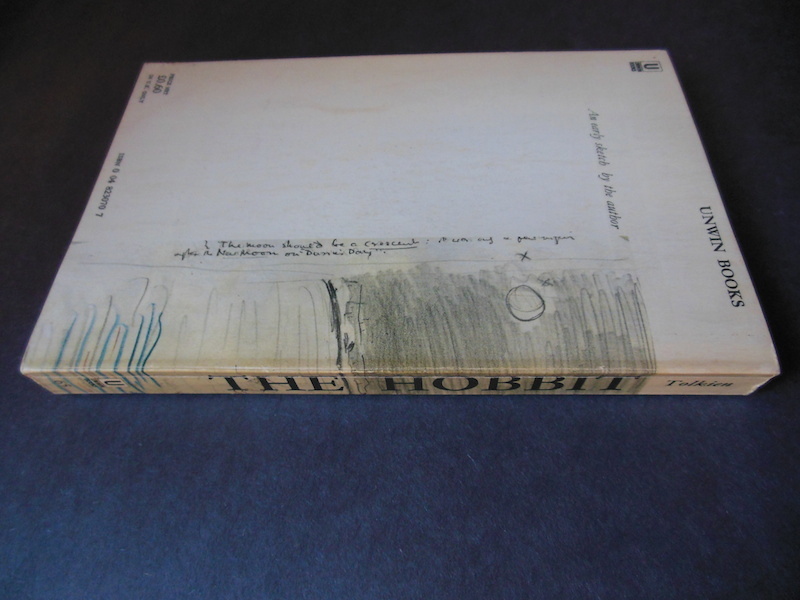 This paperback is the Fifteenth Impression, published by Uwnin Books in 1972. 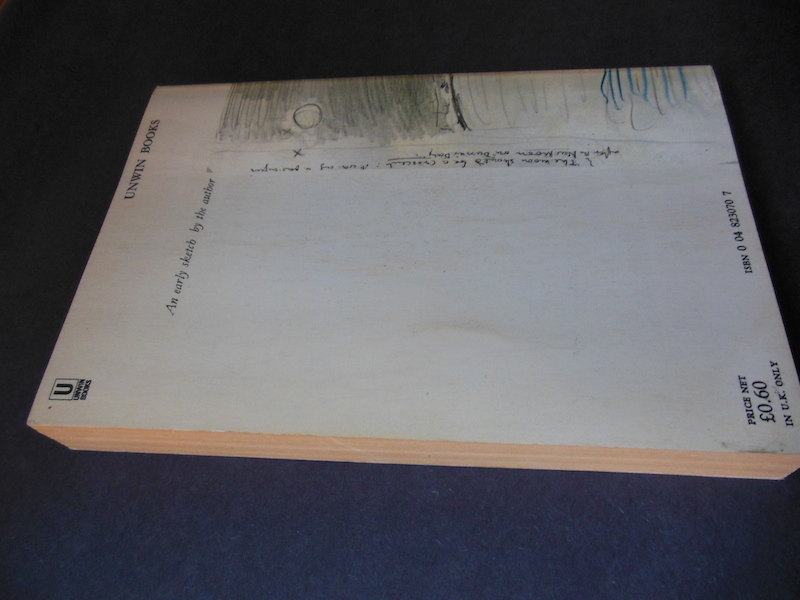 The book is in good condition, with the normal rubs and wear to the corners and edges of the paperback and a broken spine fold from reading. 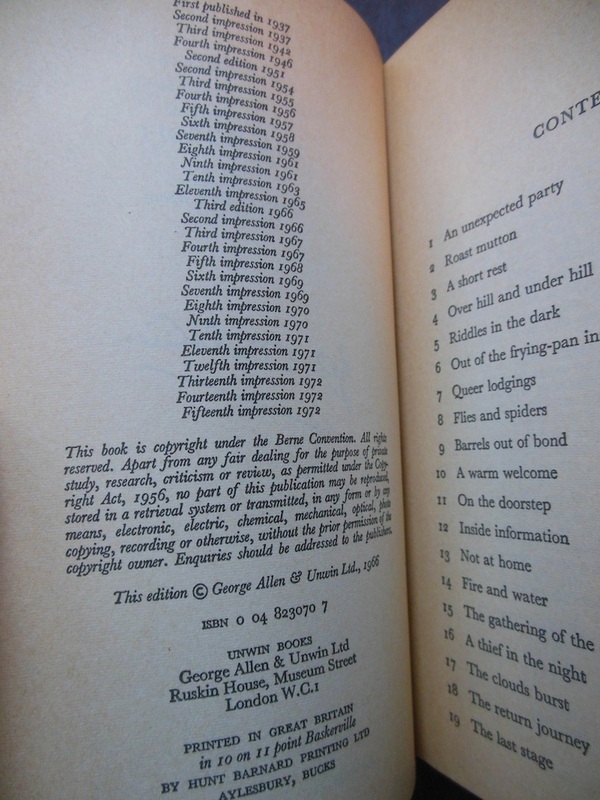 The book shows some foxing and darkening to the pages (especially the first pages), which is normal for this paperback edition. 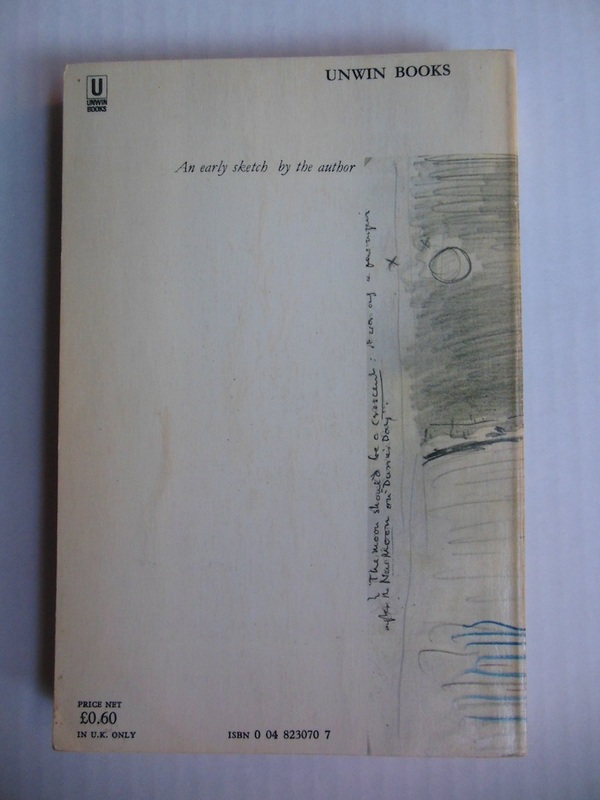 Overal in above average condition for a paperback of this age. 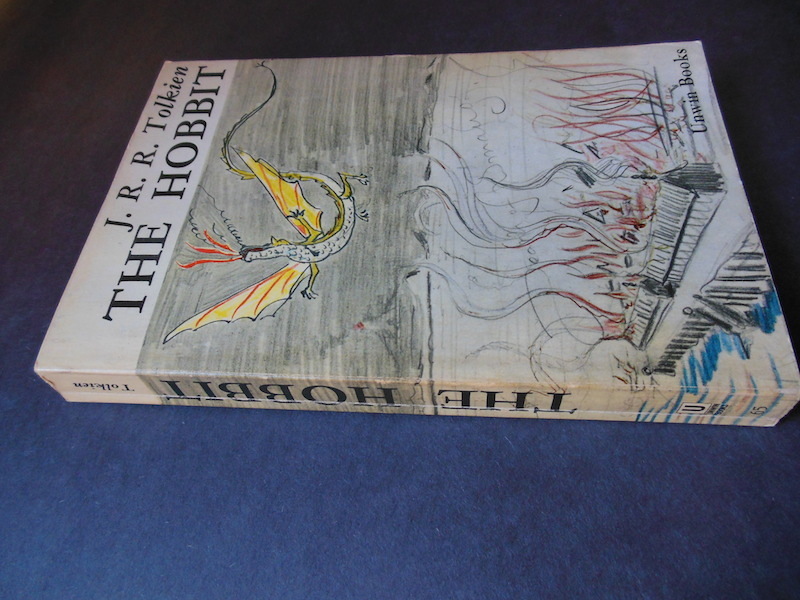 The cover shows Tolkien's drawing "Death of Smaug". 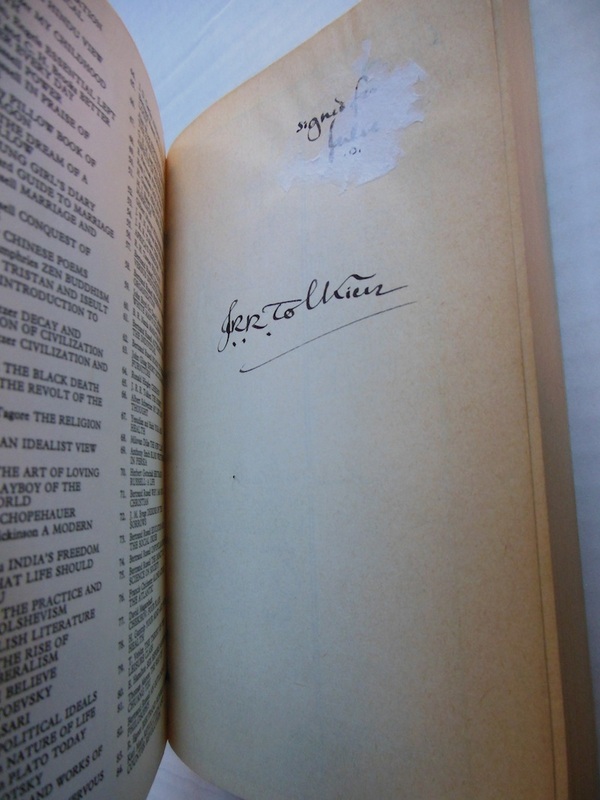 The history of the book is that it was purchased at a used book sale at a library in Moraga, California. The library get many donations and they have used book sales for fund raising. Moraga, California is a very affluent neighborhood and so it is likely that the book was donated without the person realizing what it was. 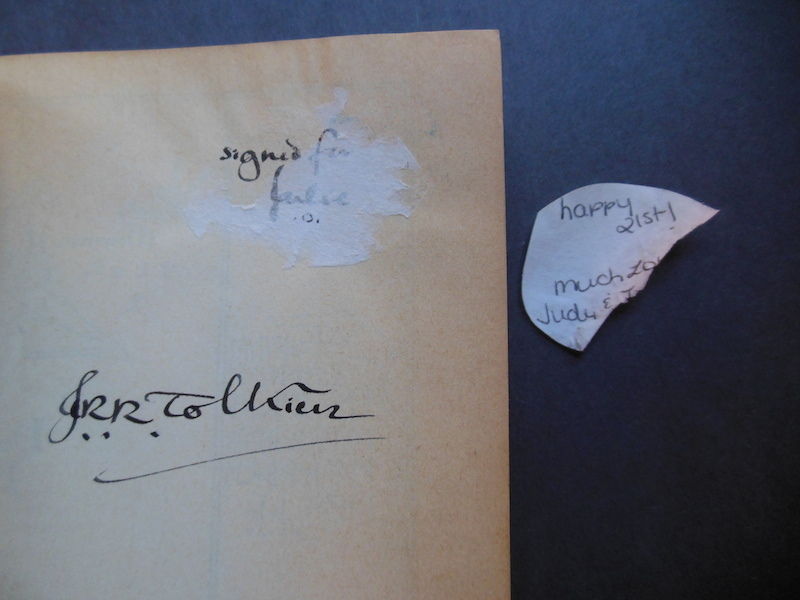 At the top of the signed page there was attached a sticker that reads: Happy 21st Love Jody > and Tommy. 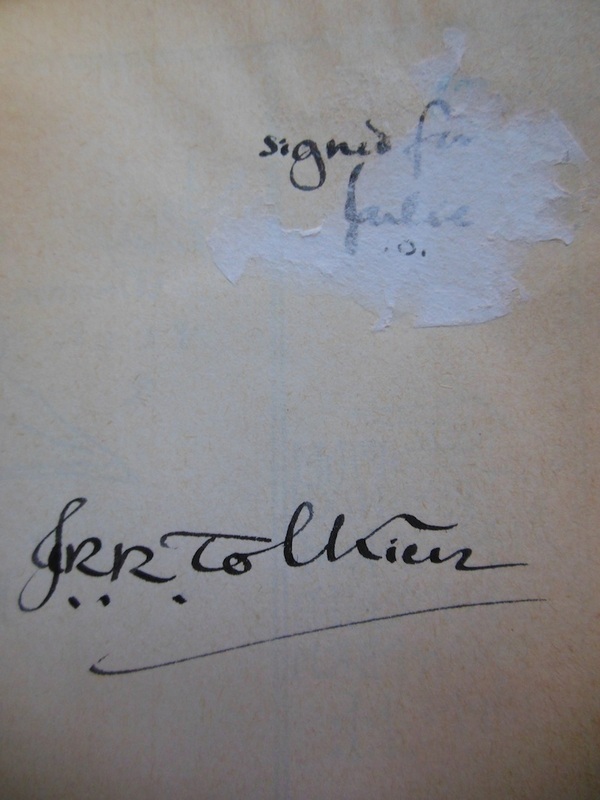 The sticker was removed, revealing the dedication by J.R.R Tolkien: "Signed for Julie". Lucky it has now been recovered and is looking to be treasured.